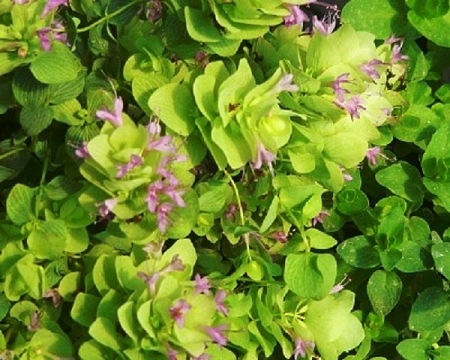 Kent Beauty Oregano (origanum rotundifolium)- Beautiful non-culinary, ornamental oregano features a multitude of pink/purple/yellow blooms when in flower. Cascading habit of the plant makes this a favorite for hanging baskets, pots, and window boxes. Flowers dry well and are often used in dried floral arrangements and wreaths. Perennial zones 6-11 Live plant in 3 inch container.